Flame-hardening steel involves heating the steel and then cooling it. This first part of the process changes the molecular structure of the steel and makes it hard, but brittle. If dropped or struck hard, it could actually shatter. The second part of the process, known as annealing, involves reheating the steel and re-cooling it. Once this second part of the process is complete, the steel is hardened and yet malleable enough that it can still be worked. Using your blow torch or a furnace with a bellows, heat your steel until it glows red-hot. 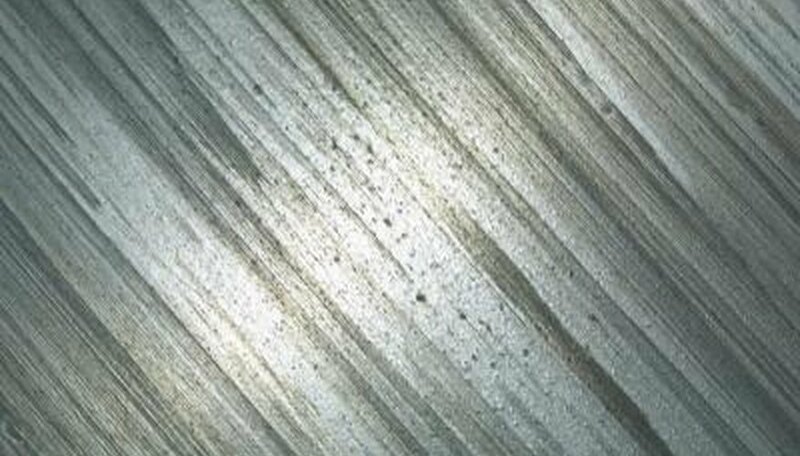 You will need to watch your steel carefully as it goes through several different color changes until it passes blue-hot and finally becomes red-hot. Using your tongs, pick up the red-hot steel and immediately dunk it into a vat of room-temperature water. This is called quenching. Once you remove the steel from the quenching water, do not try to work it. Your steel will now be hard but extremely brittle and could shatter, almost like glass. Reheat your steel using your torch or furnace with bellows. Watch the color changes as your steel gets hotter and hotter. When your steel is blue-hot, pick it up with your tongs and dump it into the vat of water. Wear appropriate shoes and clothing when heating steel. Always wear heavy gloves and eye protection. Room-temperature water is sufficient. Do not allow the hot metal to touch any part of your bare skin or clothing. Work in a well-ventilated area. Parr, Larry. "How to Flame Harden Steel." Sciencing, https://sciencing.com/flame-harden-steel-4559148.html. 24 April 2017.